Your beautiful day deserves a stress free treat. 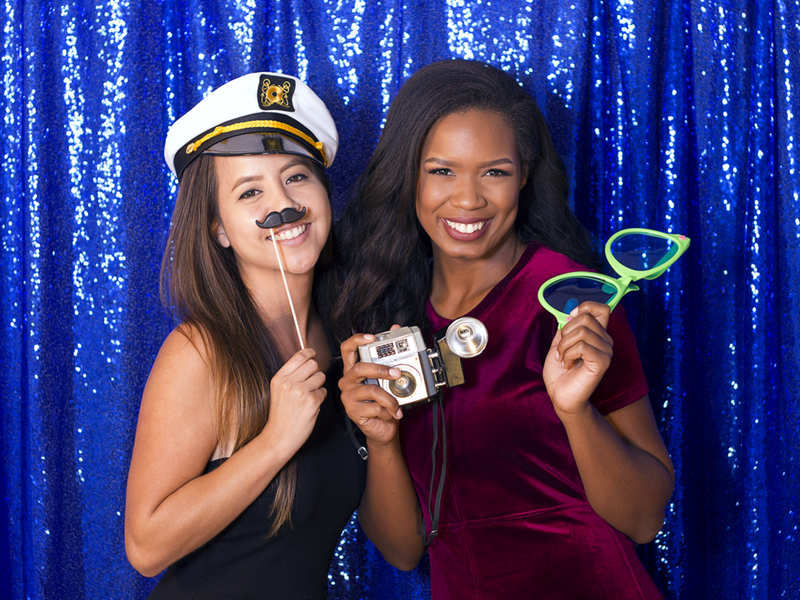 We’d love to take care of all your photo booth needs from start to finish… and we’ll have a ton of fun doing it! Want to get crazy? We’ve got you covered. Our wide selection of high quality handpicked hats, masks, signs and fun pieces will jazz up your night and light up those pics. Maybe it’s a themed event? We’ll customize our props to satisfy your extravaganza. Step right up and come on back. There’s no limit to the number of tries your guests will have at cracking a wacky face in front of the camera. 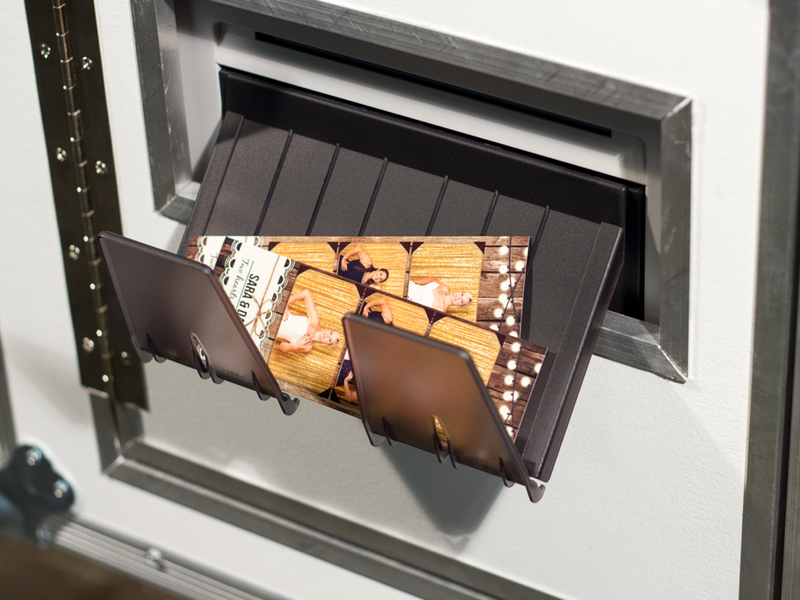 We’ll print up one strip for every party-goer that wants a flavorful souvenir to take home. From the elegant to the outlandish, you’ll get a custom designed photo strip with every package. We’ll color up an existing idea and even zap on a logo. Because your celebration is one of a kind, we think your photo strip should be too. Don’t mind our fun and friendly attendant having a blast while helping your guests strike a pose. It’s what we do. That’s right! A complimentary gallery with every zany faced pic from your event will be waiting for you and your guests to download to your favorite devices. We’ll zip you over a link and password to ship out to anyone and everyone you wish. Fill that frame with your pick of one of our many stylish premium backdrops. Or perhaps you’ve cooked up a swanky scene? No problem. We’ll set up wherever your heart desires. Or maybe you’re thinking you need some superbly unique décor? Just ask about our custom backdrops. From a step and repeat to something out of this world, if you can think it up, we can print it out! Additional Hour(s) - Maybe you need some extra time to take some extra pics. GIF - Have your guests take a sequence of photos resulting in a GIF that can be shared on the web. Social Media Kiosk - This will allow the photo booth to keep popping away while your guests, who’ve just snapped some stellar pictures, head over to the kiosk to share their pictures online and not hold up the fun back at the booth. Green Screen - Put your guests right in the middle of a beach, on the cover of a magazine, or any other background you can think of with our green screen treatment. VIP Red Carpet - Fire up the flash and elegance at your event with a roped off red carpet setup. Step and Repeat/ Customized Backdrop - Everyone feels like a celebrity with a custom Step and Repeat backdrop. 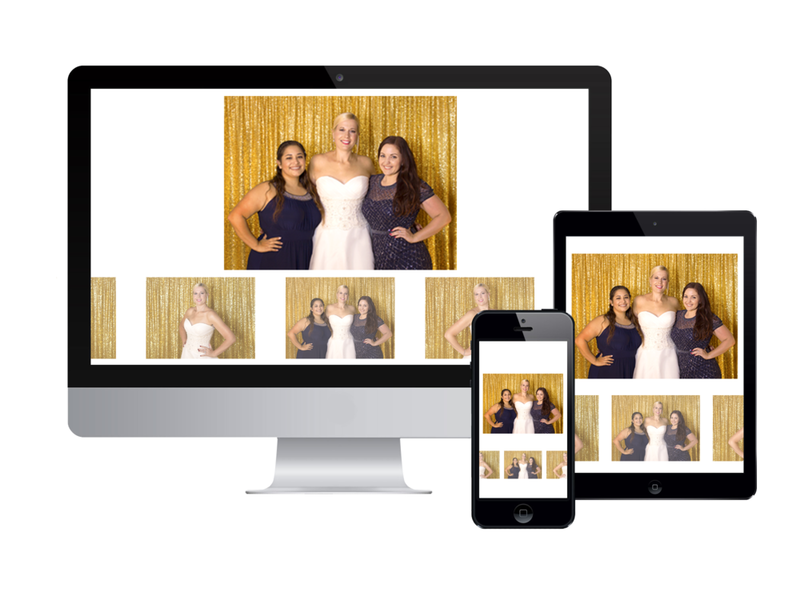 Put your monogram, logo, or whatever you want behind every photo booth picture at your event. Photo Strip Frame Party Favors - Keep those zany pics safe from all those predators jealous of all the fun you had.